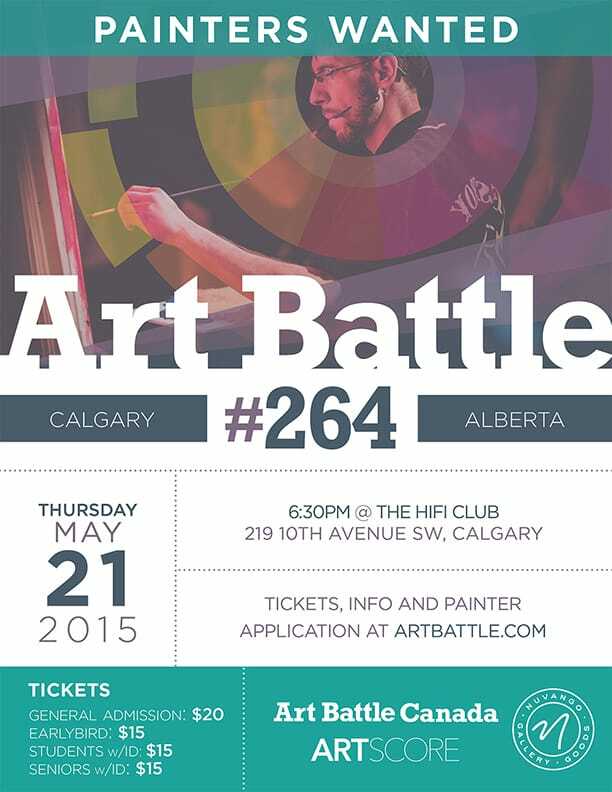 Art Battle is back at the Hifi Club in Calgary with more live competitive painting! This is the last chance to qualify for the Regional Finals. The audience decides who advances as 12 local painters take their canvas on a journey from blank to beautiful! All painting will be available in silent auction.